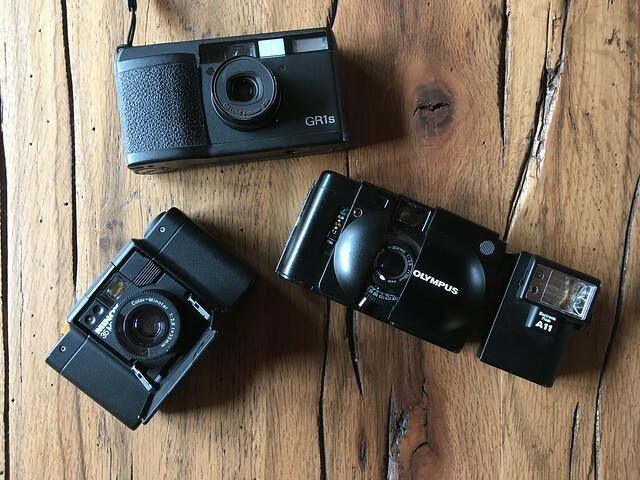 I’ve decided to trim back on my film camera collection, and I’m offering for sale a “vintage bundle” of 3 compact 35mm cameras, a Ricoh GR1s Date, Olympus XA, and Minx 35ML. In my opinion this is actually the best of the three, an absolute gem. The camera works fine, the only issue is that the ISO dial on the bottom plate has lost a lot of its paint (actually it seems it was some kind of adhesive film) so you have to guess (a bit) which position is which. It’s not a big issue. The meter works fine. Owned since new, nut unfortunately the box and manual have gone astray. Bonus - a spare S28 battery is included. Shows an expiry date of 2017 but should still be fine. These are very hard to find. Full working order, the rangefinder patch might be a little faded from its new condirion, I’m really not sure, but it is still quite visible. Of the three this is the one which has had the most use recently, for example when trying out the new Ferrania P30 film. Comes with its accessory flash. This one I bought secondhand as a back up a very long time ago. All three have clean optics and no fungus, etc. And all three have acquired the odd scuff mark over the years, but nothing dramatic. These are working cameras, not display cabinet queens. I’m offering all 3 for CHF 120 (or US$ 120, it’s about 1:1 right now) in Switzerland or CHF 150 posted to anywhere in the world, payment via PayPal. Not for sale individually. To the best of my knowledge the above descriptions are correct, I absolutely don’t want to rip anybody off, but please note, they are offered at-risk, no refund or return. I acquired my first Hasselblad XPan in the spring of 2000. So maybe it’s about time to write a few words about it. My interest in so-called panoramic photography began in the mid-1990s, when I was professionally involved in the emerging multimedia world. In particular I adopted very early versions of Apple’s QuickTime VR technology to generate immersive walkthroughs of various scenes. As time was generally limited, initially I used an Apple QuickTake 200 camera to generate content (640Kpx images, approximately 30 per set of 4 very expensive lithium AA batteries), then experimented with Polaroid instant slide film. At some point I realised that it could be interesting to unwrap the 360 QTVR files to create widescreen stills. I used these in creating a couple of CD sleeves, which was a sideline of mine at the time, and in personal work. 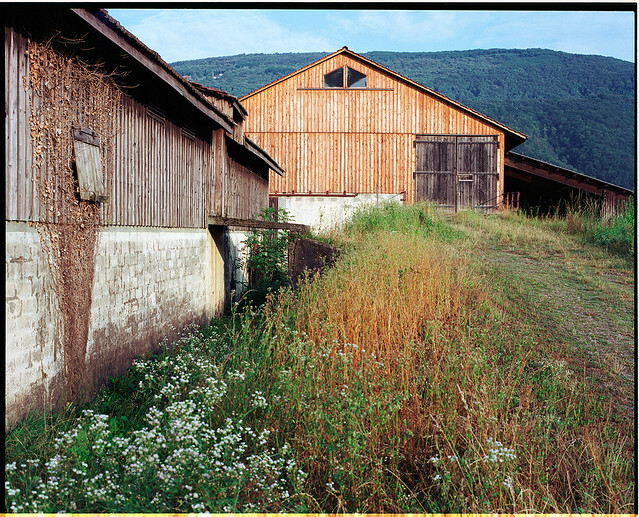 So when the Hasselblad XPan appeared on the scene in late 1998, I was fully primed. 2000: Lago di Lugano, infrared. It was another year or so before I could actually afford it, but by then end of 2000 I had the camera and all three lenses, and took them with me on a 5 week trek around New Zealand - which later turned out to be the spiritual home of the XPan :-). The same kit travelled with me to Canada and the USA, to Spain, Iceland, Ireland, Greece and Italy, before finally setting off on a tour of Svalbard by yacht in 2010. A couple of days into the trip, when distracted from photography by a storm, I inadvertently left the camera in the inflatable dinghy lashed to the deck. Several hours later it was discovered submerged in a puddle of salt water. And that was game over for XPan number one. There was no way I was going to be without an XPan though, and I was lucky to find an unused XPan II for a reasonable price, in fact under $1’000 once I traded in my little used Fuji GS670. Fortunately this was before XPan prices passed ‘stupid’ level and reached ‘absurd’. 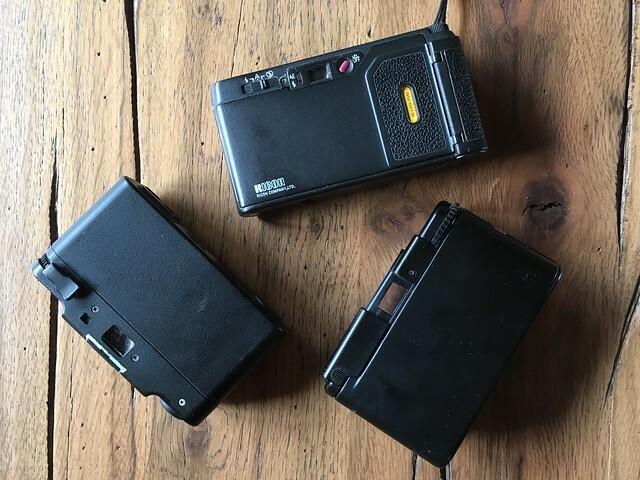 The XPan II carried on where it’s predecessor left off, and has visited Iceland, Norway, Patagonia, Antarctica and various places around Europe. It had a bit of a rest in 2016, where it got a bit eclipsed by my Linhof 612 obsession, but this year it has regained favour. So, that was a long intro, but it shows that I should be in a position to write a long term user review of both versions of the XPan. First though let’s clear up a few things. The camera was fully designed and built by Fujifilm in Japan. For some reason Fuji felt that it was not commercially viable under their name alone, so they sought an international marketing partner. Reportedly it was first offered to Leica, who turned it down: just as well, otherwise the red dot tax would have made it unaffordable. Hasselblad said yes, and turned it into a marketing success. 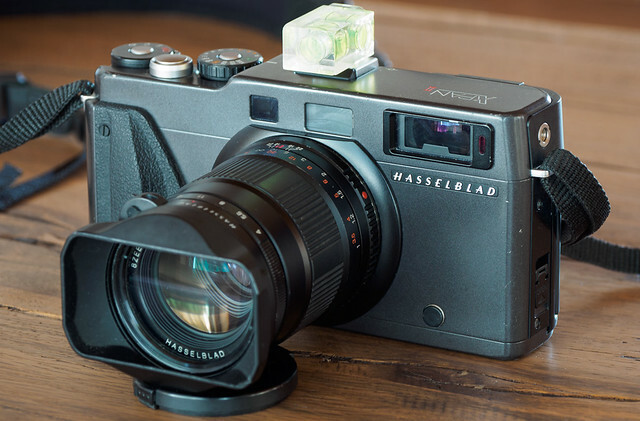 Far fewer people know what a “Fuji TX-1” is than recognise “Hasselblad XPan”. It is said that the lens designs were specified and quality controlled by Hasselblad, but this seems hard to believe. Fuji was, and remains, a top tier lens designer and manufacturer. Hasselblad has never built a lens in-house. 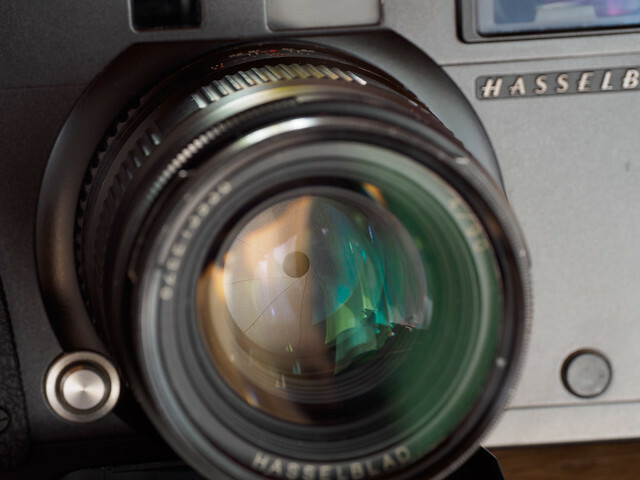 In any case, Hasselblad XPans were delivered with quality control certificates from both Fuji and Hasselblad, and all of the system components were stamped “Made in Japan”. Possibly the TX cameras did not come with the esoteric and little used Hasselblad tripod plate. In any case, it was a successful partnership, which was later extended with the H-1 camera and lenses. Basic specifications are very well known, but let’s summarise them anyway. The XPan is a coupled rangefinder camera with a large, clear finder with framelines for 45mm and 90mm lenses. The body is made of aluminium with a magnesium skin, which is a bit prone to scuffing and paint flaking (it doesn’t matter). It has a fully electronic metal shutter with controlled speeds from (remarkably) 8 seconds to 1/1000th. Using the bulb setting exposures up to 30 seconds (early XPan I), 270 seconds (later and updated XPan I) or 540 seconds (XPan II) can be made. Note though that since the shutter is electronic, holding it open for long exposures is bad news for the batteries. It has an LCD panel on the back which displays exposure info, and provides access to several settings. On the top plate there is a small LCD panel which shows remaing frames and the mode (panoramic or normal). So far this applies to both version I and version II, but from now on there is some divergence. A criticism of the XPan I was that did not show exposure information in the viewfinder. The only display was a set of LEDs showing under- or over-exposure. A particular complaint I had is that it did not show any indication that exposure compensation was set. 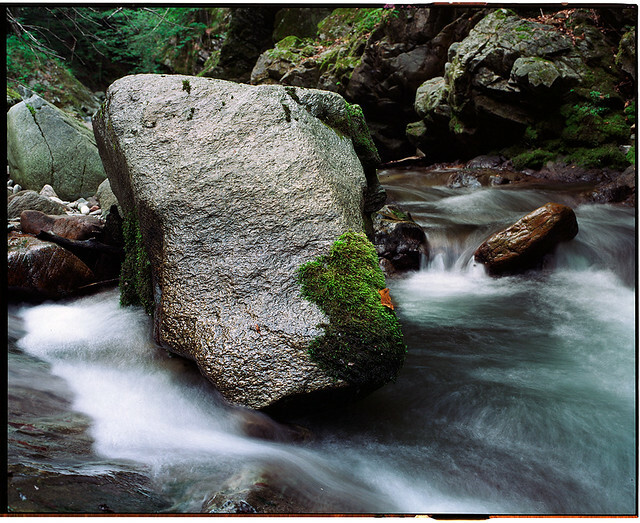 This was fully addressed in the XPan II, but a high price was paid. Both versions support DX-encoding for setting ISO, but on the XPan I, a lockable dial on the front panel allows this to be over-ridden manually. 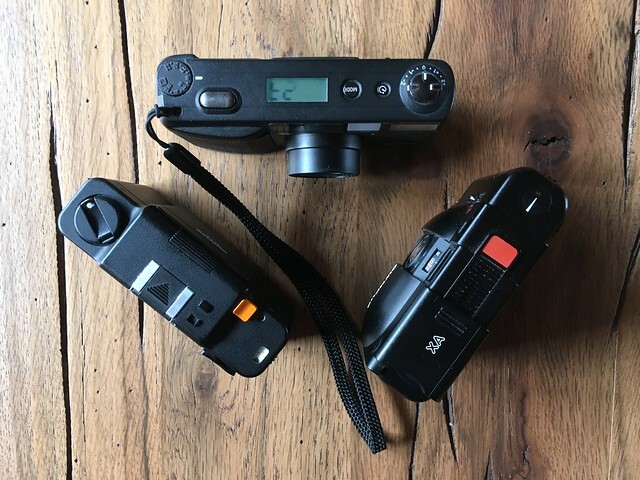 A dial on the top plate, integrated with the on-off-mode switch, allows up to 2 stops of exposure compensation to be set. The XPan II loses all of this. The front dial disappears altogether, and the top plate loses the exposure compensation dial. It all looks rather bare - all that remains, apart from the exposure dial, is the switch with off, single shot, continuous shot (1 frame per second) and timer positions. The exposure compensation and ISO have to be set using the LCD panel and its very fiddly buttons, and this is really no fun even in good conditions. In the cold it is a nightmare. In exchange, you get a very clear film speed display in the viewfinder. And an extra $1000 or so on used prices. The only other difference is that the XPan II supports a custom electronic cable release, if you can find one. But you can also use a standard threaded mechanical cable, so, whatever. The exposure dial includes the setting for aperture priority. I have always found the upper-biased, center-weighted metering to be very accurate, and therefore aperture priority works well. Note that the metering seems to be biased towards landscape photography with slide film. With negative film it may be a good idea to dial in an extra stop, or to compensate using the ISO setting. The meter reads down to the 4EV, which I’ve always found to be a little restricting - a little more sensitivity would have been nice, especially given the up to 8 sec timed shutter release. Returning to the back panel, there is a recessed button to rewind the film before it reaches the end, and a backlight to illuminate both LCDs. Settings include a rewind mode which leaves the film leader out, which is very useful for those doing their own development, or for changing film mid-roll (if you remember the frame count you can reload it and advance over exposed frames in manual mode with the lens cap on). Note, the very first batch of XPan Is, with long shutter speed restricted to 30 seconds, had an issue with fogging infrared film. The Xpan II was advertised as fixing this issue, but in fact the later batches of XPan Is did not show it either. Personally I only used IR film in the XPan in 2000-2001. I don’t remember getting any good shots, but I never had any issues with fogging. The XPan is very pleasant to handle. It is well balanced with all three lenses, and the shutter button has just the right half/full pressure resistance. The viewfinder is gorgeous and the rangefinder patch easy to see, although as often as not I preset focussing at hyperlocal distances. I’ve always had the impression that the 30mm viewfinder is polarised, but I guess at that angle of view it can’t be. Nevertheless, the world actually looks better through the 30mm viewfinder than in real life! The body viewfinder framelines change with lens, with mode /standard, panoramic), and adjust for parallax. The 30mm viewfinder is fixed, but it has frameline notches to indicate the standard frame size. The XPan II handling is slightly improved by the viewfinder display, but with the already discussed tradeoffs. The lens focus rings are silky smooth and nicely weighted, and the aperture rings are firm and precise. However only full stop steps are possible. Generally the XPan is a real “feel good” camera to use. It can get a bit heavy if you carry it around all day with a full set of lenses, it is solid metal after all, but nothing too dramatic. Many XPan owners have a preference for a particular lens, usually the 45mm or 30mm. 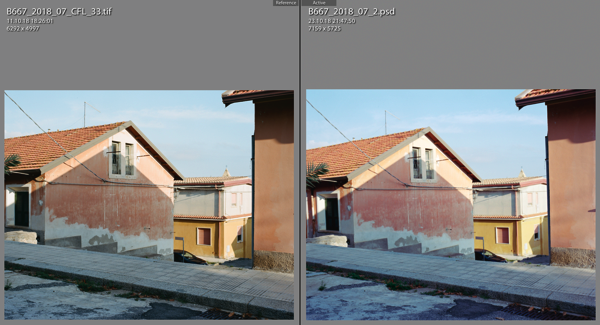 I’m more equal opportunities - I find all 3 lenses to be excellent, and of the three I actually prefer the 90mm for landscape use, although I’ll admit that for street it is less adapted. I’ve owned two copies of the 30mm lens, and both have come down with so-called “Schneideritis” even though it is not a Schneider lens. Possibly there is a related Fujinonitis strain. My first one was replaced (somewhat reluctantly) by Hasselblad for this very reason. The replacement soon came down with the same symptoms. However, there is absolutely no impact on the optical behaviour of the lens, and it doesn’t seem too be contagious, so I just ignore it. Another blight to strike the 30mm lens, or rather its viewfinder, is the bubble level drying up. This is annoying, but it seems quite common. I have contacted the French Hasselblad specialists “Les Victor” about a repair, apparently they can fix it at a reasonable price. 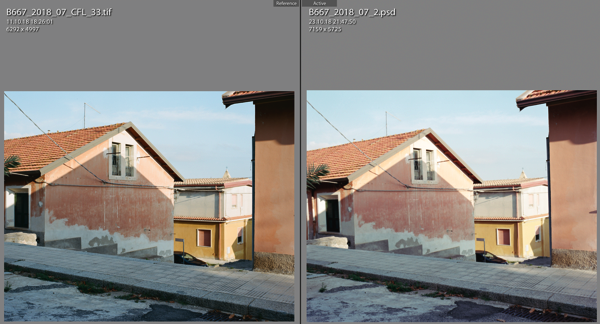 One of the first issues to hit XPan users is of course, how to actually deal with the output. In the early days, Hasselblad (I suppose) promoted the format to a network of labs which could print the panoramic format, and supplied sheets of special stickers in the camera box which could be fixed to the film canisters to indicate to the lab that they contained XPan frames. I know I had my first XPan roll lab printed, probably by Jessops pro shop in Oxford Street, London, where I bought it, and probably on the day I bought it. But from then on, pretty much it has been the hybrid route for me: lab developing, home scanning, home printing. I don’t think I’ve ever shot a roll of traditional black and white film in the XPan, only colour negative, colour positive and Scala. Maybe a few rolls of Polaroid instant film too. To start with, scanning XPan film at home was tricky. Unless you were basically a millionaire, there were no film scanners that could take anything other than standard 35mm frames, and flatbed scanners outside of the unattainable Linotype-Hell or Scitex were hopeless. So initially, using a Microtek 4000 scanner, I painstakingly scanned each frame in two halves, and merged them in Photoshop. Even with a high end Mac, this was tedious. So the barriers to entry were actually pretty high, and the XPan was very much considered a professional’s camera. Gradually things got easier. Just about affordable Medium Format desktop scanners emergec from companies such as Polaroid, Microtek, Nikon and Minolta, several of which specifically handled 35mm panoramic format, and I eventually settled on a Minolta MultiScan Pro which lasted me over 10 years. When after these years of service it started getting troublesome, I finally replaced it with a Plustek Opticfilm 120, which has been efficiently devouring both XPan and medium format film ever since. I thoroughly recommend this scanner, by the way. It’s been a long journey with this camera, and although the current valuation (based on eBay) sometimes makes be think of selling it and using the proceeds to buy a small island, I’m not done with it yet. After all, I’m still waiting for my rolls of Film Ferrania slide film, not to mention new Ektachrome, to put through it. As an aside, Ektachrome 100G was the film that really made the XPan sing for me. At present I have to use Provia 100F, not a great hardship, but back in the days when there was choice, it wasn’t always the film I reached for. 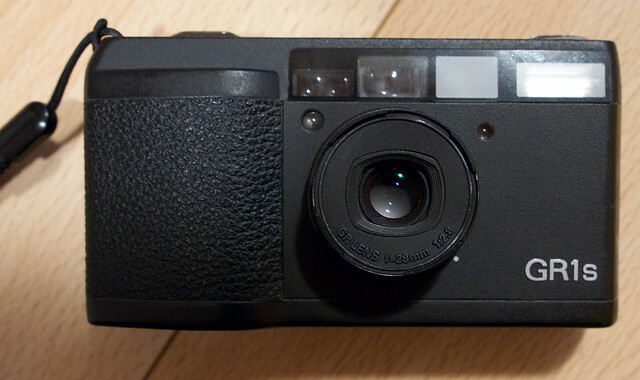 So, should you buy an XPan today? Frankly, at eBay prices, no. It’s not worth it. The camera has crossed the border from “working tool” to “sought-after collectible”. Get a Fuji GSW690 and crop. Or use a digital camera with suitable framing, such as the Sigma dp0 (my candidate for the “digital XPan”). 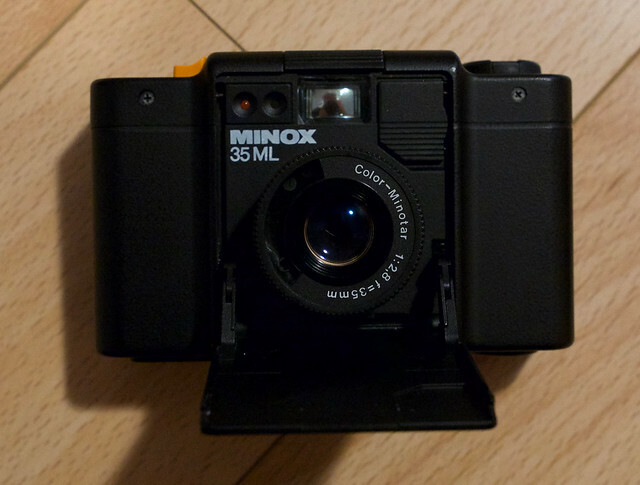 So far, fingers crossed, unlike several other electronic film cameras, the XPan is not displaying any chronic failures that I know of, but they will come, and it will not be repairable. So paying crazy money like $6000 - $7000 for a so-called pristine model on eBay is very unadvisable in my opinion, not to mention well over $1000 for a non-working body. 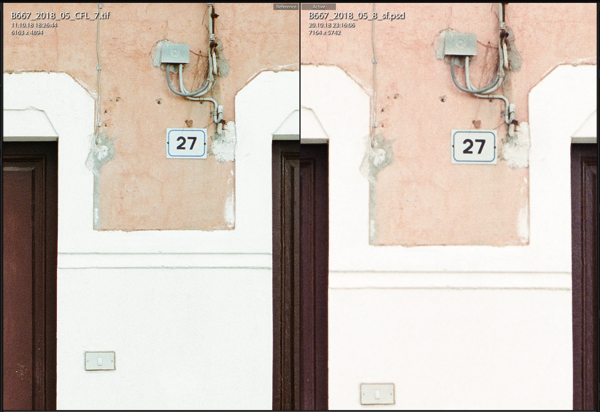 In particular the markup on XPan II bodies is absolutely not justified from any photographic point of view. If you do find one which is more realistically priced because it isn’t collector-pristine, bear in mind that any XPan body actually used for photography will inevitably acquire scuff marks and paint chips, and this is not an indication of over-heavy use. Although note, the extreme beaters you sometimes see on eBay do surprise me. My camera is not mollycoddled at all, so to get it in the beaten up condition of some I’ve seen must take real dedication. Having said that, I do remember in 2004 seen an XPan belonging to US landscape photographer Steve Kossack practically stripped of paint, so I guess it is feasible. Up to a few years ago you could still buy good used models with a warranty through reputable second hand dealers, but that supply seems to have dried up. Who is going to trade in their camera to a dealer for maybe $1000 when $3000 on eBay is now considered “cheap”? 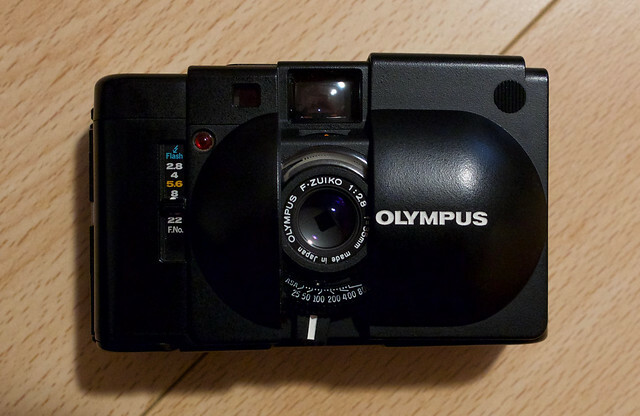 The XPan has acquired mythological status. Personally, to a great extent, it defines me as a photographer, but that’s because of circumstances. I happened to be in the right place at the right time, with adequate cash, to get in at the ground floor. But it is only a camera. Today, there are other paths to follow, and plenty of other ways to pursue “widescreen” photography. If you happen to come across an XPan in fair condition with no bits missing for under $2000, then go for it. Otherwise, be sure you know what you’re getting into! Really all you need is Matt’s XPan page. Film, digital ... or photography? I’m afraid this is going to be a bit of an unstructured ramble. Basically I’m just taking to myself: because I’m thinking about finally cutting the cord and giving up film. And then again, maybe not. I’ve changed my mind at least three times since I started writing this post. Analog or Digital? 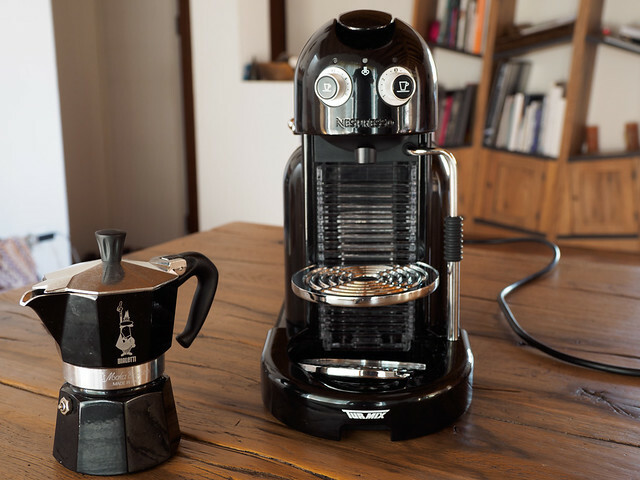 Coffee, or convenience? I’ve been using film since I started taking photographs, which was A Very Long Time ago, and although I have fully embraced digital photography, I have always owned film cameras, and at present I own quite a lot. In the last two years or so, in terms of time (and indeed money) invested, I’ve spent much more on film than digital. Could it finally be time to stop? For me the choice between film and digital is largely emotional. To some extent those emotions are directly related to the end result: for example, the initial impact of a slide frame on a light table is much more visceral than that of a Raw digital file displayed on a computer screen. But otherwise they are mainly secondary things like nostalgia, or an appreciation of fine mechanics. More specifically I’d be sad to give up my Hasselblad XPan, which has been a companion on countless adventures for nearly 20 years, but then again, I’m beginning to feel it is dragging me down. Film and digital have very different workflows. With film, it mostly happens in the camera, especially when the camera is fully mechanical. There’s plenty to get right which can’t be fixed later, and even when this stuff becomes second nature, it never becomes trivial. You choose your film, you set the exposure, and you’re pretty much committed. With digital, on the other hand, the work tends to start after the capture. There is so much latitude for change that it is dangerously easy to lose sight of any initial intention. Of course the distinction isn’t that clear: with film, the whole clunky process of scanning is a huge time-sink, and with digital, if you’re brave, you can go the JPG route and do everything in-camera. Film is expensive. The cost of the actual film itself is constantly increasing, as is that of lab processing (I won’t find time in this life to do my own processing - although more on that later). The availability of film stock is still decreasing, especially the kind I like. Of course there are hundreds of minor variations of the same black and white film on the market, but that’s not my thing. Good film scanners are expensive are approaching extinction. And although you can certainly pick up a good used 35mm SLR for not very much, the kind of camera that makes using film worthwhile in 2018 is still actually pretty expensive. And when you buy it it will break down and nobody can fix it. Of course digital is expensive as well. In fact it can easily become unreachable (although film holds its own if you consider the price of an Hasselblad X5 film scanner). And digital still pushes you towards the upgrade treadmill. And in terms of process, digital proposes the double-edged blade of near-endless processing choice. It is so easy to get lost in these discussions which superficially appear to be philosophical but basically are just about the old demon gear. That demon which is dedicated to distract and prevent you from actually achieving anything photographically interesting. I’m feeling weighed down with gear, weighed down with choices, endlessly trying things out and testing approaches but never actually defining and realising an artistic objective. On the other hand I’m inspired by my Linhof 612, I’m emotionally connected to my Hasselblad XPan, and I think the frames my Bessa 667 produces are awesome. But then again, when I switch personalities and pick up my Olympus E-M5 I feel pretty happy with that, too. Although do I? Actually it depends. For the urban landscape stuff I do, I really cannot complain at all. Yes, out of the box Portra 400 from the Bessa 667 is prettier, but, one, I can tweak Olympus files to something quite close enough to Portra, and, two, the Bessa 667 is fine until you want a focal length different to 50mm equivalent. However for classic landscape the Olympus files have some clear limitations. Far field objects tend to turn to mush, and the whole image can have a faintly plasticky field. This impression has actually been confirmed to me by several professional photographers I know who use Olympus. The system has many attractions, but also some drawbacks, and while you can most certainly use it to take excellent landscape photographs, if you have the artistic ability (which I’m not claiming I do), it isn’t perhaps the ideal choice. I’ve tried to find a workaround to this by supplementing my Olympus with Sigma Foveon cameras, but astonishing as they can be in their ideal environment, that ideal environment is very, very restricted. And the lenses for the sd Quattro cameras are very heavy and bulky, albeit excellent. On the other hand, as objects, Sigma cameras are absolutely beautifully made, and the menu system is also the best I’ve seen. The thing is, I don’t really have a need for film. I like using it, I like the way it looks, but there nothing enabling for me about film. My main, indeed only reason for persisting with film from around 2003 to 2013 was that I needed it to put in the XPan. But then I started expanding my repertoire a bit. And now I’ve maybe expanded it too much. Experimenting isn’t a bad thing, but there’s a thing line between experimenting and just f***ing around, and I’m afraid I crossed it some time ago. And then again. My eyes keep getting drawn back again to recent shots I’ve taken with Provia 100F and Pro 160NS, and then, to others taken with the Olympus. And impressive as the Olympus shots are - and frankly, whatever Micro Four Thirds keyboard warrior detractors may say, they are impressive - there is something lacking. Of course, it could be as much down to medium format lenses as the films, but more probably it is a combination of both. Also looking around a bit, personally I find the film-only landscape work of Jake Horn to be a pretty convincing argument, as is my friend Jean Heintz’s view on film. Then there’s the tempting idea that it is possible to replicate the colour of film in digital. 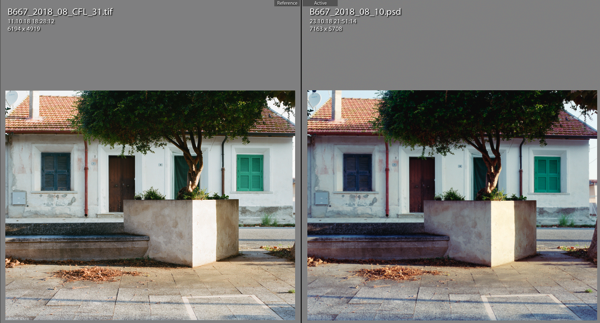 I’ve had reasonable success with things like modified VCSO presets, and Exposure X3, and I’m trying out Mastin Labs’ products, but even if these were fully successful in replicating film, which, frankly, they’re not, quite, they still can’t make a digital Micro Four Thirds camera draw like a 6x7 Medium Format film camera. And to be fair, the reverse also applies, which let’s not forget, was a strong reason why so many scrambled to abandon film the moment that digital became affordable. Trying to sift some clarity from my ramblings, What I think I’m tangentially approach is a wish for an interchangeable-lens camera that provides significantly more detail than the Olympus, gives me the lucid transparency and smooth, subtle tones of Medium Format Portra or Provia, is not too heavy or bulky, and is, within reason, affordable. It also needs to avoid over-complexity and feature glut - really all I need is aperture, speed, sensitivity and autofocus. I don’t need movies, I don’t need more than 1 frame per second - if not per minute. And then I want it to last forever, and keep me from being distracted by new toys. Until quite recently I really don’t think there was anything on the market that met that description. Now, in the digital world, there are maybe two candidates. Well, possibly only one. In the film world, an outsider might be the Pentax 645, a camera I’ve always admired from a distance, but it is heavy and bulky. If I forego autofocus, I guess there is the Hasselblad V series (again, I’ve often day dreamed about a 503cw), or at a stretch the Mamiya 7. All of these three of course are significantly different formats. But what I really want is to escape from this endless chasing after gear and get down to doing some photography that really satisfies me. And for that, I really, really need to come down on one side or the other. I’m not actually labouring under any illusions that I will produce anything of any artistic or creative merit - I haven’t done so far, and after 30 years of trying, I doubt that will change - but at least I’d be enjoying myself. I think I have a new favourite film. I was tipped off about by Alex Burke, in his excellent eBook, Film in a Digital Age. It’s called Fuji Pro 160NS. I was only very, very vaguely aware of this film. Actually, I don’t think I’ve ever used Fuji negative film before, ever. I’m strictly Kodak. 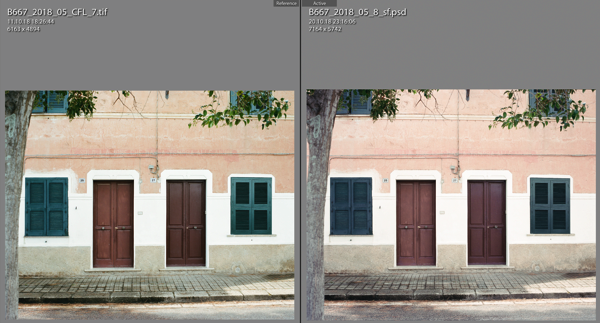 I’ve just gone back to check what Alex Burke writes about Pro 160: “as with Portra, it has an incredible dynamic range but I felt it to be a tad more contrasty and colorful”, and “this film is all about the greens. Many people say that the Kodak negative films are more for red hues and the Fuji 160NS is about greens”. From my experience so far I completely agree with both statements. Kodak Ektar certainly likes reds - in fact it makes everything red. And indeed, my first impression was of a less washed out Portra, but without the shrill vibrance of Ektar. The results look fantastic to me, straight out of the scanner. The two examples below were scanned in Silverfast using the Fuji Pro 160S 6x6 Negafix profile, otherwise totally un-retouched. All shot on Voigtländer Bessa III 667. Silverfast v8.8. Don’t touch it. Life. Don’t talk to me about life. (what) kind of blue ? Do you fake it ? Silverfast announces version ... 8!